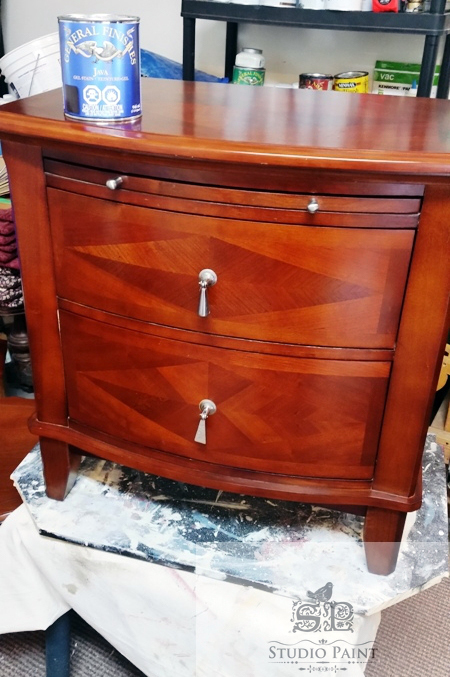 Stunning transformation from Studio Paint_ of Fonthill, Ontario! 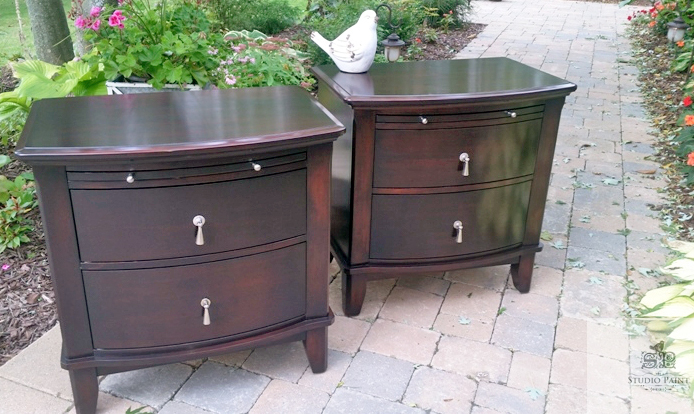 The night tables were re-stained with General Finishes Java Gel Stain. All surfaces were in pristine condition so I started by preparing them for the Gel Stain. As recommended by the manufacturer I cleaned all the surfaces with a 1/2 water 1/2 denatured alcohol solution with an extra fine sanding sponge. I applied 3 coats of the Java to achieve this rich colour. After these surfaces were good and dry (I usually wait at least 24 hours) I applied General Finishes Gel Topcoat (2 coats) making sure to sand with 400 grit sand paper between coats and allowing at least 24 hours to dry between coats.